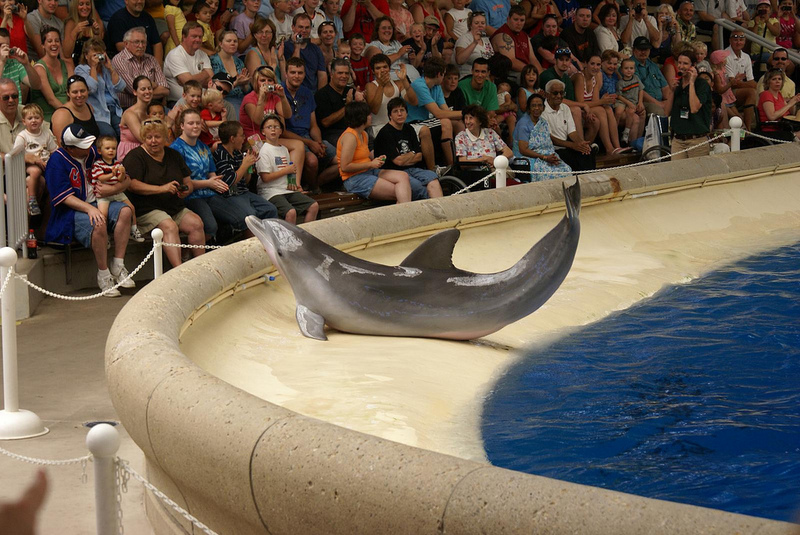 The death of a young bottlenose dolphin at a Chicago zoo was accidental, but some biologists say it shows why dolphins shouldn’t be kept in captivity for entertainment. The dolphin, a 4-year-old named Nea, died on the afternoon of Sept. 5 at the Brookfield Zoo. According to a zoo press release, trainers heard “a loud pop” from the pool, apparently the sound of two dolphins colliding. Nobody reported seeing the collision, but it’s thought to have happened in the air as the animals jumped. Nea died minutes later from a fractured skull. Zoo officials described it as a “freak incident,” ascribing it to typical roughhousing gone awry. But crowding dolphins into small, unnatural environments makes accidents more likely, said Wild Dolphin Project biologist Denise Herzing. Nea’s death occurred at a moment when, following the deaths of killer whale trainers at Loro Parque in the Canary Islands and SeaWorld in Florida, the dolphin entertainment industry (killer whales are in the dolphin family) is under intense scrutiny. Later this month the federal Occupational Health and Safety Administration will hold hearings on trainer safety. Though dolphin safety won’t be discussed, critics say the attacks are symptoms of animal stress: Dolphins are highly intelligent, social and free-spirited creatures, and become physically ill and mentally unstable in captivity (.pdf). As a result, dolphins in marine parks actually have shorter, more dangerous lives than in the wild. “It would be absolutely valid to frame [Nea's death] in terms of the captive versus wild mortality rates,” said Lori Marino, an Emory University neurobiologist who specializes in cetaceans and primates and is a prominent critic of cetacean captivity. Asked if Nea’s death was a byproduct of captivity, former SeaWorld trainer Jeff Ventre said, “I would suspect that it is.” According to Ventre, it’s possible that the roughhousing could have been bullying, even fighting. 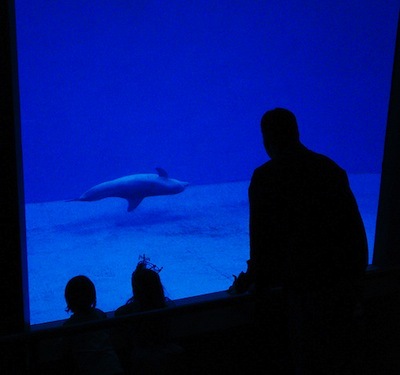 Conflict isn’t uncommon in wild dolphins and is also found in captivity, where dolphins are often separated from their families as juveniles and sent to live with strangers, creating new and stressful social dynamics. Nea was born at Dolphinquest in Bermuda and taken to the Brookfield Zoo at age 3, two years before she would have become independent from her mother in the wild, though zoo officials say Nea had socialized well. “It’s never been reported that two dolphins met and crashed in the air,” according to Herzing, who has studied dolphins for 26 years. She described them as having a high degree of physical self-coordination. Zoo spokeswoman Sondra Katzen noted that the Chicago Zoological Society has long supported wild-dolphin research and conservation.